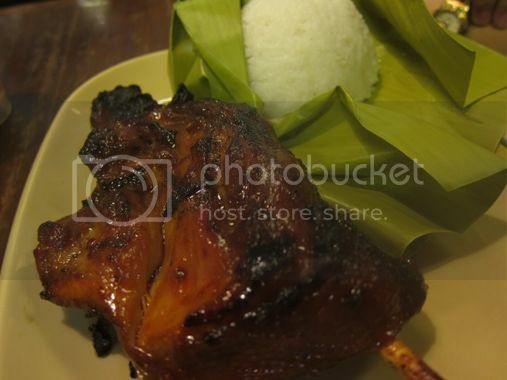 We were finally able to try out the famous Mang Inasal chicken two Saturdays ago at SM Megamall. It was mid-afternoon when we went, and the place was full. People kept coming, which gave me the feeling that were was a festive celebration that everyone wanted to be part of, well, in a way there was— a FOOD FIESTA! What we liked most about their chicken and pork barbecue is that they’re really tasty and they’re not dry. 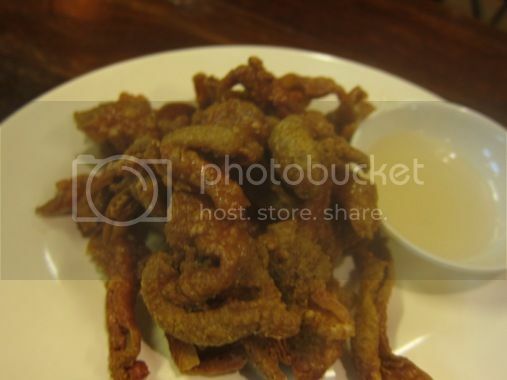 I avoided the chicken chicharon because it’s rich in bad cholesterol, and that’s the last thing I need right now! My son, however, was fond of it. 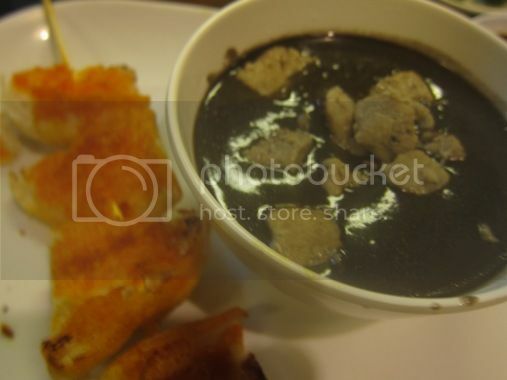 I wouldn’t recommend their dinuguan, though. It’s a bit too sour for my taste. All of their PM meals cost Php99.00. What’s good about their PM meals is that you get unlimited servings of rice. 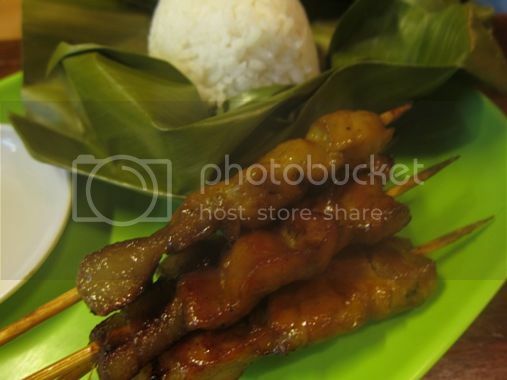 They also offer Sulit meal (1-pc chicken with rice), for only Php49.00. 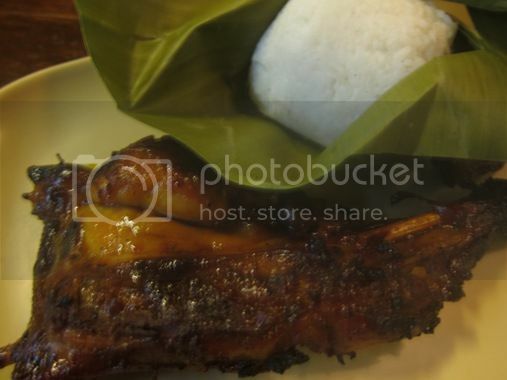 This entry was posted in Filipino Cuisine, Food Trip Friday, Mang Inasal, Restaurant Review, SM Megamall. Bookmark the permalink. i like their chicken too! so tasty! and their sawsawan 🙂 sarap! 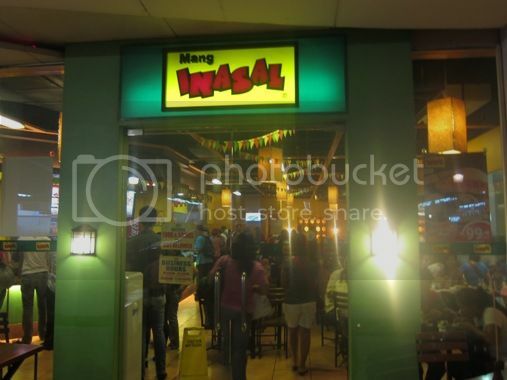 wow, I miss Mang Inasal… unli din ba ang rice sa Megamall…kasi sa Davao, unli ang rice. Happy FTF. Hope to see you at my blog. yummmmmmmmmmmmmmmmmmmmm these are delish 🙂 I am drooling too. I missed eating “inasal” 🙁 cannot wait to try it again soon. Dropping for Food Trip Friday, hope that you can return the favor too. I tried them at 168 with my cousin and yes, it’s really good and yummy! i haven’t been to any Mang Inasal resto. i feel so left behind when you girls are talking about the good taste of it.aainggit.